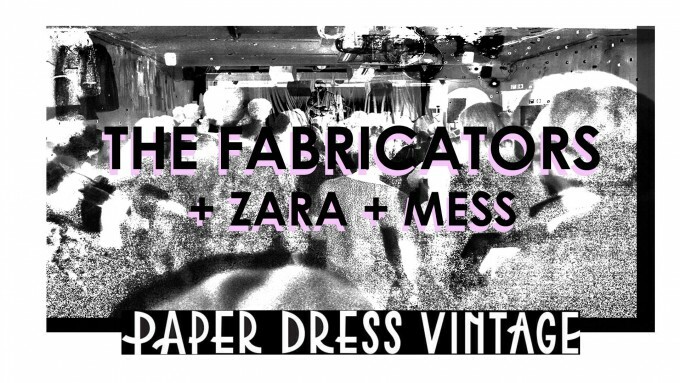 The Fabricators / Zara / MESS + QUEER club night! A bumper evening at Paper Dress with 3 live bands followed by our semi-regular club night QUEER! New material and timeless classics from last year’s debut LP ‘New Bad News’. Formed in 2017, East London quartet MESS have been crafting powerfully distorted, female fronted guitar rock. The sound of the band is inspired by many facets of life like empowerment, rebellious outbursts and the feeling you get when you’ve just had enough. The band’s stockpile of songs pay homage to music that will make you want to dance, sing loud and crowdsurf, like hard rock, grunge, punk and garage. This is MESS – an all girl band apart from the boys. After the live music there’ll be a free entry club night QUEER – Friday 8th March till 2.30am! Paul Michael Bowden (Set You Free, Homo Superior, Poke Newcastle) and Sam Fenn are back on after the bands at Paper Dress Vintage in Hackney for QUEER. Expect the best in queer DIY, Queercore, 90’s Alt/Britpop, Riot Grrl, indie, 60’s girl groups, northern soul, 80’s rock & synth pop.